"Golden boy Ezra Faulkner believes everyone has a tragedy waiting for them—a single encounter after which everything that really matters will happen. His particular tragedy waited until he was primed to lose it all: in one spectacular night, a reckless driver shatters Ezra’s knee, his athletic career, and his social life. Robyn Schneider’s The Beginning of Everything is a lyrical, witty, and heart-wrenching novel about how difficult it is to play the part that people expect, and how new beginnings can stem from abrupt and tragic endings"
First line: "Sometimes I think that everyone has a tragedy waiting for them, that the people buying milk in their pajamas or picking their noses at stoplights could be only moments away from disaster." Thoughts: This book...there are no words to describe the epic adventure this novel will take you on. While I knew THE BEGINNING OF EVERYTHING was going to be amazing, I didn't expect it to somewhat change the way I view the world. Needless to say, I will never be the same again. The beginning of this novel starts off with a bang. It's a recapping of an old yet disturbing memory following an event that altered Ezra and his best friend Toby's lives. I can't exactly say what happens without ruining the shock factor, but I clearly wasn't expecting this. At any rate, Ezra begins to believe everyone in their lives will have a tragic changing point. You won't know when it'll happen but once it does, life will change drastically. One of the things I completely adored about this novel was the main character himself. It's incredible how the author created a character so rich and unbelievable, you can't help but wish he were real. Of all his wonderful and sometimes not so fabulous traits, I loved his clever and witty personality the most. Just the dialog and banter alone kept me craving for more. Ezra Faulkner is every reason why I can easily swoon over the perfect male protagonist. I truly believe the author found her voice in Ezra. Please, please write more male voices. PLEASE! Now, let's talk about the romance a bit. Enter Cassidy. Like many first loves, Cassidy offers Ezra things he hasn't experienced before. Both Cassidy and Ezra are broken yet somehow fix one another just by being together. I adored watching them grow together and helping each other find who they're meant to be. Alas, to quote Robert Frost, "Nothing gold can stay forever". Things begin, things end, and in some cases, begin again. What will be the case for these two? Read it and see. 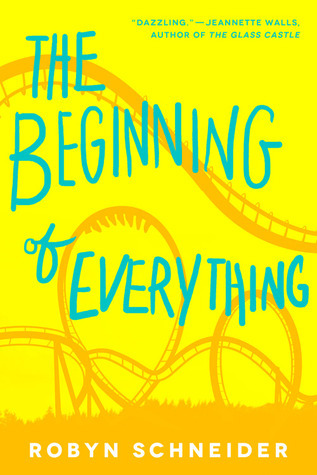 THE BEGINNING OF EVERYTHING is a realistic coming of age novel I highly recommend to all fans of THE PERKS OF BEING A WALLFLOWER and THE FAULT IN OUR STARS. This book is filled with love, wisdom, wit, and enough heartache to make your head spin. 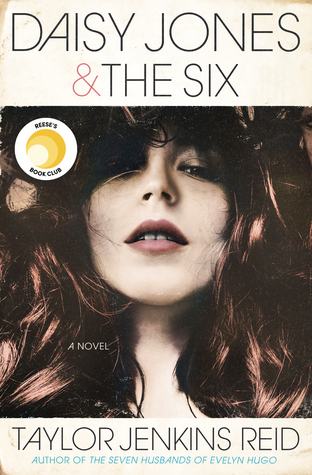 It's one of those books that will keep you thinking about it weeks after you've already finished. Heck, I don't even know if I ever truly recovered from this emotional roller-coaster! The only thing I know for sure is I plan on keeping this novel on my bookshelf for a long, long time. Wow! This is a big statement: "I didn't expect it to somewhat change the way I view the world. Needless to say, I will never be the same again." I really enjoyed this book but love seeing how it had such an impact on you-that's just amazing!